Our greatest honour was winning the County Intermediate Football Championship in August 19th 1979, when we defeated Kildorrery 2-09 to 1-06 at Pairc Ui Chaoimh. We have had many memorable achievements, from the mid-sixties. During the past 10-15 years, in particular, we had strong under-age teams, winning many Beara Divisional competitions, from U12 to Minor (U18) Our greatest achievements at under-age, was at Minor grade, when in 1997 and again in 1998, we won the County Minor 12- a- side Championship and league competitions, to date no other Club in the County, have won both these competitions back to back. In 2000 our Minor team won the County 12-a-side League, and were defeated in the County Championship. We won the Beara Junior âAâ Championship in 1929, 1938, 1961, 1962, 1966, 1968, 1970, 1971, 1972, 1984, 1986, 1989, 1993, 1994, 1998, 1999, 2000, 2001, 2002, 2004, 2005, 2006. The Beara Junior âBâ Championship commenced in 1996. Adrigole won in 1997, 2001, 2002, 2010, 2011 & 2014.The cup, which we play for, was presented to the Beara Divisional Board by the Adrigole club in memory of one of our players, Donal Jim Oâ Sullivan, who died tragically in 1972. 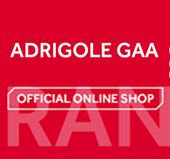 In November 2006, Adrigole finally won the trophy which had eluded them for so long, the Junior A County Championship. They defeated Grenagh in the final on a score line of 0-5 to 0-3.